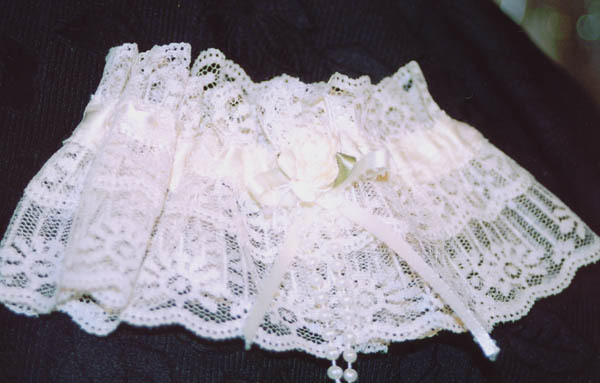 Lovely satin ribbon accented lace garter with satin floral and ribbon accents, with pearl strands descending from the flower. Shown in ivory; available in white. No two ever alike, each one individually made. One size fits most. If fuller size woman, please give leg measurement when ordering.